If stressing over malware on Android is something that you enjoy on a daily basis, the crew responsible for Lookout Security has a new release that will satisfy your needs. 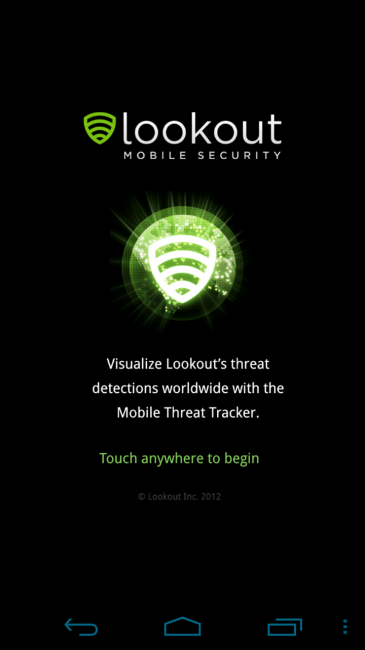 Their newest app titled Mobile Threat Tracker takes the last few day’s security threats that their security products have identified and displays them in a visually stunning, rain shower-ish, globe rotating manner. 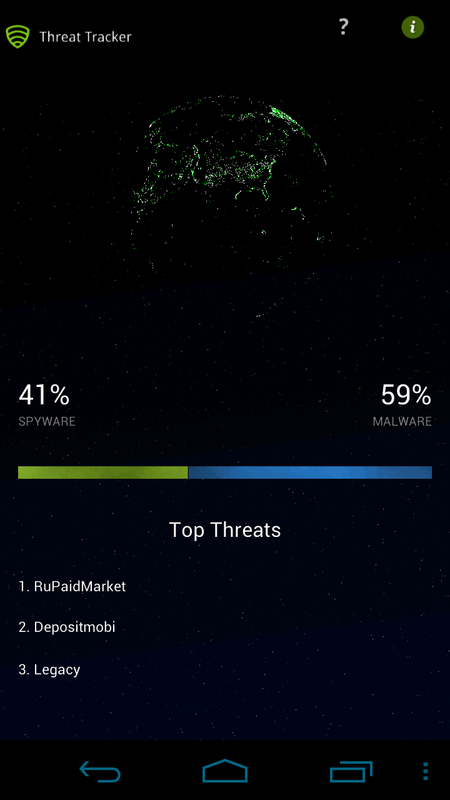 You can view the top threats, tap to view more info on them, and then decide for yourself if you believe that there is actually a Malware problem in Android. Is there? 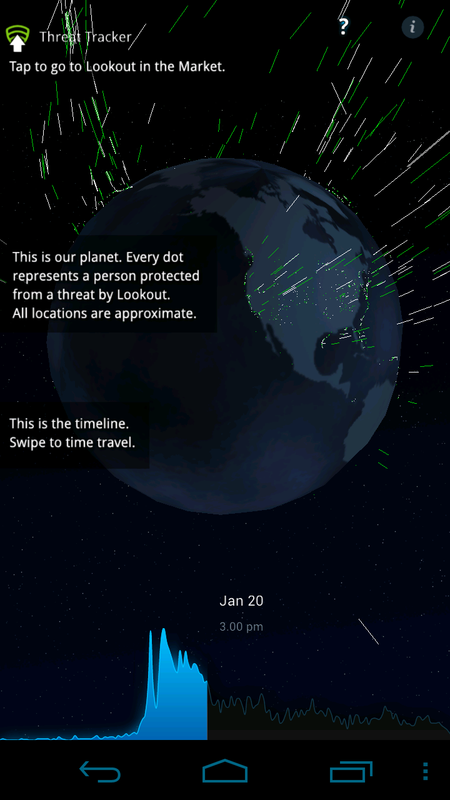 I’m not ready to buy into yet, but hey, the app looks snazzy.